The phrase ‘still holds up’ applies here. I never played the original build of Odin Sphere for PS2, released way back in the days of yore (or May 2007). As I said in my Early Impressions piece I never played it because, well… I was really busy. Don’t ask me what kept me away from Vanillaware’s 2D brawling genius back then, because I couldn’t tell you. I was probably playing Resident Evil for the 48,730,578th time. Shame on me, I know. So, if I never played the PS2 version, how can I possibly assert that the ten-year-old Odin Sphere Leifthrasir, a brilliant HD remake for the PS3, PS4 and PSVita, is still engaging in this day and age? Well, I’ve been around in this hobby for a long time and sometimes, you just know these things. But since you probably want an actual reason, I’ll oblige. Looking at the graphics, animation, music and, most importantly, the gameplay, this isn’t so much a case of Odin Sphere’s core mechanical and aesthetic concepts passing muster in this increasingly cynical age of aggregates and numerical scoring systems. 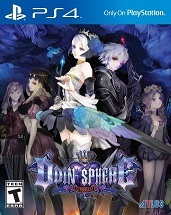 It’s more a case of recognizing just how far ahead of its time Odin Sphere was. 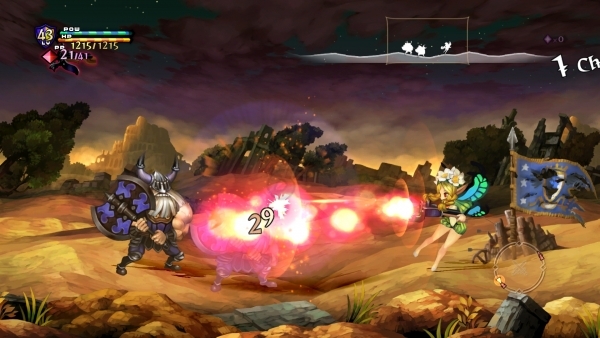 Vanillaware has been pushing boundaries since forever, and their footprint, while off the beaten path of commercial viability, has always been strong, deep and enduring. From Princess Crown to GrimGrimoire to Odin Sphere to Dragon’s Crown, this is a company that has managed to find that creative sweet spot through the combination of developer brilliance and creative expression. Odin Sphere Leifthrasir exceeded my expectations and pressed upon me nearly insurmountable guilt over not having played the PS2 version. Honestly, there’s a part of me that’s glad I missed out on this one the first time around. It meant I got to experience the game in 2016 with improved visuals, a slightly better-contoured controller more suited to my hands and the social media pulpit to pound it into the summer games lists of everyone that loves good, classic niche gaming. So, what exactly is Odin Sphere Leifthrasir? What, you may ask, is a Leifthrasir supposed to be, anyway? A little Norse mythology lesson for you. You probably know that Ragnarok is the end of the Norse gods; the final battle where pretty much everyone kills everyone and everything else and most of the nine realms are wiped out. It’s fated to happen and can’t be avoided. Most people die but some survive. Among them are a man and a woman named Leif and Leifthrasir. They survive the cataclysm and emerge (eventually) to repopulate the earth in the wake of the devastating conflict. So there. In case you were wondering, now you know. As for what it has to do with this game, well… that’s complicated. There’s a pretty complex story contained herein, with multiple playable characters crossing paths and interacting in ways that help to build a mythic chain of events which leads to something incredible. I think it’s fair to say that this game is conceptually tied to some of the tenets and themes of Norse mythology, especially the grim and fatalistic tone, but they are not by any means an exact adaptation. This is more of a heroic fantasy story with many of the tropes that form the backbone of that genre (also derived from Norse mythology by way of J.R.R. Tolkien’s masterwork The Lord of the Rings). Faeries, dwarves, the Netherworld, dragons… This one has it all, folks. And yet, it would be unfair to the material if I said that it’s a run-of-the-mill fantasy story because its presentation is so vivid and distinct that while it is a genre offering, it’s such a stylized presentation, one in which Vanillaware established a perfect balance between their love for the material and their desire to portray its common elements in grand caricature. If you know anything about Vanillaware’s art direction, it veers more towards highly-exaggerated presentations of characters and concepts. If a person is supposed to be a burly warrior they fill half the screen, widely grinning with a verve that borders on bloodlust. If they’re melancholy, their heads hang, their eyelids sag and their movements are languid and regretful. If they are small people entering a large world, their steps are dainty and light, shoulders sunken and wardrobe not at all adequate to protect them from the harsh realities they will face. And everything is so colorful and vivid here. For a game with such dark and sometimes depressing narrative aspects, the display pops with a crisp and lavish plethora of visual stimuli. Forests are differing shades of green and orange and red, with beams of sunlight occasionally breaking through the canopy overhead. Butterflies flutter, distant castles loom, aging ruins stand as decaying monuments of past glorious ages, noxious gases in poisonous underworld swamps drift dangerously close and fiery pits of lava crack the surface into a thousand glowing rivulets that all but exude actual heat. 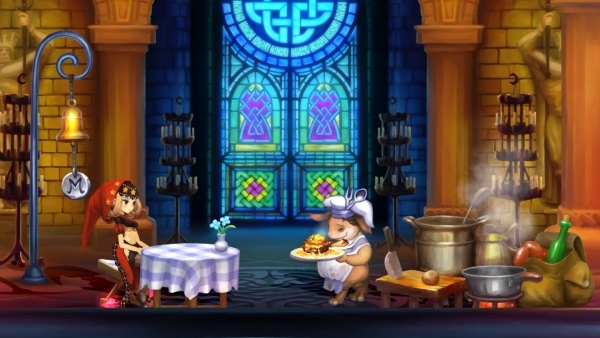 The graphics in Odin Sphere Leifthrasir aren’t just gorgeous. They show off a stunning attention to detail that surpasses the term ‘effective’; they’re mesmerizing. The same can be said for the characters. Whether it’s Valkyrie Gwendolin or the Pooka Prince Cornelius or the tormented black swordsman Oswald, every hero is a perfectly rendered visual representation of their vulnerabilities, strengths and emotions. To give you an example, Queen Odette of the Netherworld, one of the bosses you will face, is a luxuriant and impossibly exotic woman when viewed from the front, but behind that perfect façade, one becomes fixated on the grotesquerie of the exposed bones of her spinal column and neck. As a natural part of life, death can be both beautiful and terrifying and this duality, equally unsettling and undeniable, is well represented in her character design. Everyone else, whether a PC, key NPC, boss or minion is just as visually striking in their own way, each of them extremely detailed representations of the themes that serve as their inspiration. Overall, the visuals of this game are practically hypnotic. It’s almost regretful how frenetic this game’s pace gets at times. More than once, I wished the combat would slow down not because I was being overwhelmed but because every single nuance of the art direction was so insanely nuanced that I didn’t want to miss a single frame of animation. If a picture is worth a thousand words, Odin Sphere Leifthrasir is a 50 volume encyclopedia packed to the gills with visual flare that exquisitely conveys its creators’ intentions. It feels like the kind of game that a studio is intending to serve as an opus. Equally noteworthy is the music, a joint effort by a number of composers. They are Hitoshi Sakimoto (Final Fantasy Tactics, Vagrant Story and my favorite soundtrack of all time, Dragon’s Crown) and Masaharu Iwata (Tactics Ogre: The Knight of Lodis, Shadow Hearts, Final Fantasy Tactics A2: Grimoire of the Rift) and a few others. Every track is essential to the tone of the stage and action the player is experiencing. At times rousing and desperate, despondent and grim, whimsical and flighty, the game’s OST does a marvelous job of enhancing the story in the right way at the right time. Just like the visual presentation enraptures the eyes, the music masterfully engages the ears, and the two converge to lay claim to both your head and your heart. This is a thoughtful game with a riveting plot and compelling themes one can ponder for weeks, and it’s clear that Vanillaware’s focus was on ensuring that their artistic expression was primarily focused on realizing the game’s themes with astounding precision. This is epic storytelling and Vanillaware wants to make sure you get the message. Mission accomplished. I can’t really praise the aesthetics any more highly. 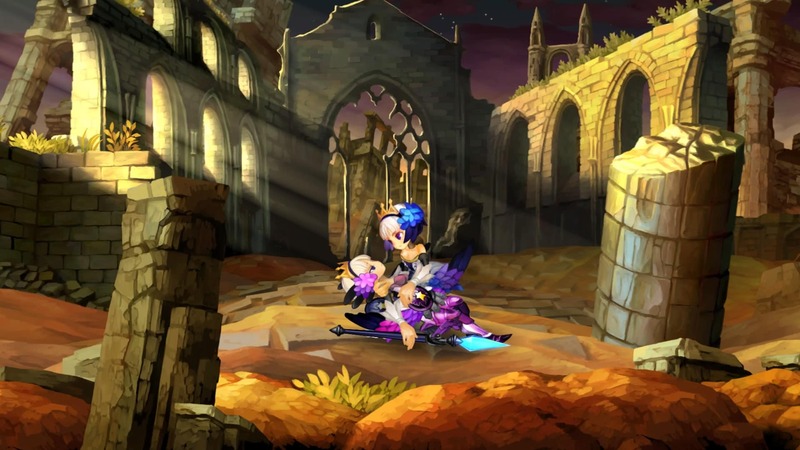 Dragon’s Crown remains the studio’s best effort overall, but Odin Sphere Leifthrasir is executed with a different mindset and is a more personal journey. This distinction is going to make it more uneven but where it takes flight, it absolutely soars. What’s truly remarkable is just how strong the themes and presentation are. Dragon’s Crown is six years younger and leads only by the slimmest of margins when comparing the two. Odin Sphere’s heart still beats strong. You may be wondering why I talked aesthetics before going into the story and gameplay, and that’s a fair question. 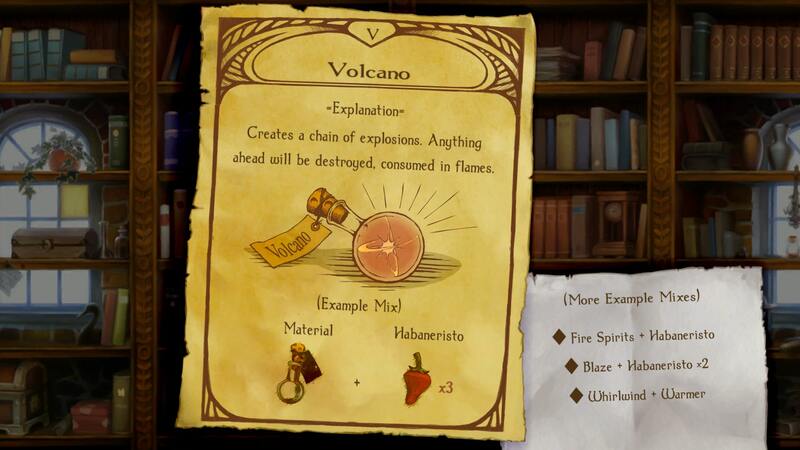 I think it’s because the presentation and art direction are so strong in this game that they merit the top billing. This isn’t to say that the other elements of the game aren’t as good, but they aren’t as distinct as the graphics and music on a comparative quality scale. 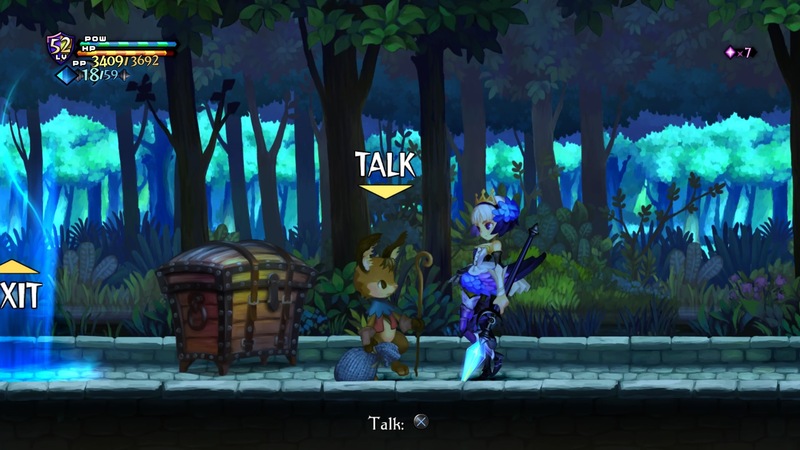 So let’s talk about the story of Odin Sphere Leifthrasir in a non-spoilery way, shall we? What, exactly, is going on in this game?